Greta Gerwig probably is the only filmmaker from the twenty first century who knows well how to combine America’s screwball comedies from the Golden Era with contemporary cinema. Her wicked sense of humor and a level of intelligence I barely can compare with anyone else’s amazed me until I watched her solo directorial debut “Lady Bird”. To explain in simple or complicated words won’t be enough to highlight the power of the film the way it dominates over the viewer and its intelligently written lines that will leave you stumbled even more. 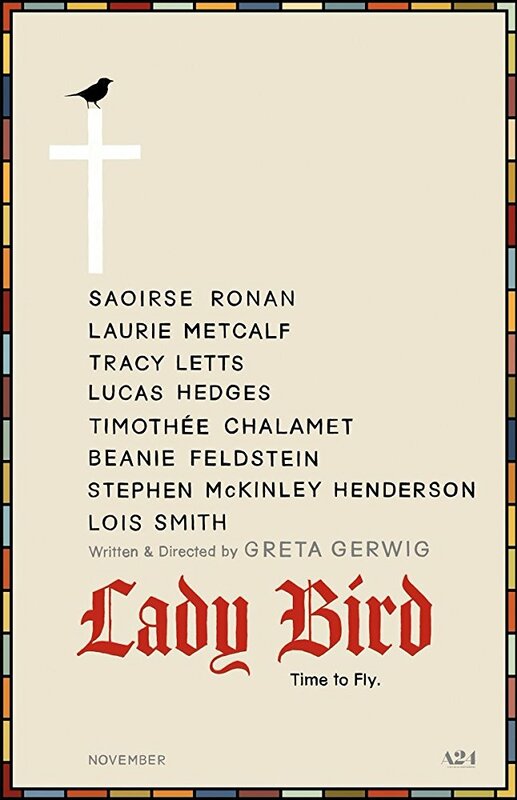 “Lady Bird” is quite charming, profound and a moving film about its title character, her way of preparing for a musical show in school, sometimes having an argument with her mother or even learning how to be a girlfriend. Outstandingly written script offers one of the most heartwarming experiences of a girl who dreams big enough to be taken seriously. Saoirse Ronan as Christine “Lady Bird” delivers her career best performances so far. Her in-depth approach to the character, her way of portraying or even interpretation of Lady Bird is one that’s thought provoking and an eye opening. The way Christine’s character changes over the course of the film is impressive and laudable and will, I have no doubt, leave you speechless afterwards. The emotional ride of Christine will appear for the viewer as a source of endless energy right after which will wanting to fly. Yes, there is no need to have actual wings to rise above as there is a Lady Bird who can lift up any spirit in the blink of an eye.